If you’ve been experiencing hair loss, consider talking to a hair restoration specialist serving Long Island about your treatment options. An effective way to combat male pattern baldness is by undergoing a hair transplant. Follicular unit extraction (FUE) is an advanced technique that involves the identification of ideal follicular unit grafts, or hair follicles, from the donor area. FUE allows the hair transplant specialist to extract these follicles one at a time and then place them in the area of thinning hair. FUE can help you achieve natural-looking results without a visible linear scar. 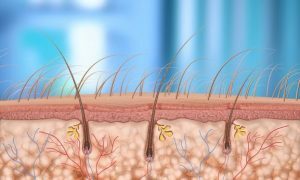 The animation in the video below shows how a doctor can perform a hair transplant using FUE technology. It shows the precise removal of individual hair follicles and their transfer to a receding hairline.